I often get asked by parents how to prepare your child for adult life. How to set an alarm and wake up with the alarm. This needs to be taught in two phases. Phase one is getting them to use the alarm to wake them up in the morning. Of course when you are setting the alarm at night, you will show your son or daughter exactly what you are doing. When they have gotten comfortable with waking to the alarm then you move to getting them to set the alarm on their own. How to figure out how long it takes to complete an activity. There are places online to purchases timers that “will show time” going by so that your children see time. Start using the timer with the different basic parts of your child’s day; i.e. homework, getting ready in the morning, showering, etc. How to groom yourself properly. Remember asking if they have brushed their teeth, did you put on deodorant, etc. This is where making special reminder notes for in their bedroom, bathroom, and other key places in the house could come in handy. How to keep up with their personal property. A lot of kids can be really good at setting things down and walking away from them. If this applies to your child: You can start telling them if and when they leave the house and they have something in his hands that they has to keep out with it. Tell them you will not carry it or keep up with it for them. Then ask if they really need to take the item with him. How to use visual cues. These can be post it notes, a wall calendar to write reminders, programming your cell phone to give you a reminder, or any other number of ways to help someone remember to do something. The key is finding what works best for your child. I’ve read this one several times before. Not only in articles about moving on after high school, but in general from other parental advice.Start small and make it a learning experience. How to use the phone and take a message correctly. These should start out with basic calls and messages. If there is a sensory issue with phone noise, try using a speaker phone option. That will help cut down on sensory issues with your children’s ears. How to go places by themselves. This has to be an age appropriate activity and with safety issues within your living area. Once you have addressed those two issues then you can proceed to determine if walking somewhere, riding a bicycle, or taking public transportation somewhere. How to leave the house with necessary items they need. Making sure that they have a cell phone, wallet, keys, money, etc. All items that are necessary for going somewhere out in public. This involves helping your children know who is OK to talk to and who is not. It also deals with knowing what kind of personal information to share with people and when to share it. Knowing how to behave in public and around strangers is part of this step. 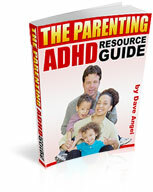 Ever wonder if your child with Asperger’s will . . .
Get a good set of friends? night. But nothing you can do to instantly fix it. However there is an alternative . . .
That way you still look ahead. But it’s more manageable. More controllable. Take a Styrofoam coffee cup. Make some tiny pin pricks in the bottom. Eventually that cup will be fully drained. energy out of their opponents. I hear you (quite rightly) cry. Well I’m getting to that because . . .
Their day’s Energy. Patience. Tolerance. Life Force. Every little thing they contend with each day. * Getting organized and on time for school – another hole. * Stressful journey to school – bzzzzzt another! Right . . . through . . . the school day . . . and beyond . . .
interacting with other kids . . . understanding the teacher . . .
assault of school dining . . . noise . . . false lighting . ..
being in the same building as 100 to 700+ other kids and adults . . .
etc . . . etc. . .
No wonder the cup gets punctured. No wonder the water flows out. If it lasts until the first school bell it’s likely a miracle. And when the water’s all gone? Well that ‘s your child’s energy. Their ability to cope. Drained away by so many little punctures. situation for all from 3pm onwards at home. Every little hole needs to be plugged – BEFORE it happens. Plan as much as you can. Prepare your child as much as possible. BROKEN TIRES, BROKEN MINDS . .. You may remember I had a “near escape” when my tires blew on the motorway (freeway) recently. Left a “footprint” on my mind and body. Until that incident I loved my car. Now I dislike it. Maybe at some level even fear it.One isolated incident has affected the way I feel and think (and not in a good way). Which reminds me of life for children with Asperger’s. Think about your child’s average day, or week. * Surviving the hostile sensory jungle of school (noise . * Struggling to understand (let alone complete) certain school work. One negative experience, stacking on top of another . . .
A lot of the time it’s not “The Asperger’s”. Impacting on their mind and body. inner anger at the bullies and others who don’t understand. change – makes things a little better for your child. Not one to get too gushy normally. But I really love you guys! You are some of the busiest, hard working people on the planet. Contending with so many challenges each and every day. Yet . . . you’re always willing to give and share with others. And boy did you deliver . . .
people know it’s his birthday! wonderful words of inspiration and positivity! His words to all “That’s awesome and thanks!” From Raeven! Brings happy tears to my eyes. Thanks everyone! The absolute BEST that people can be. So thank you and blessings to all and every one of you. Thank you . . . thank you . . . thank you . . .
– to say we are thinking of them, and wish them all the love in the world. Hate to upset any of you good readers. apologies to anyone else whose missed them. “My son Matthew made me laugh one Christmas when he was 5.
sentimental moments and was a bit uncomfortable for rest of us. one please email me back. I couldn’t NOT share this story. Maggie (70 pound Vietnamese pot bellied pet pig). Minecraft game. His loving parents got Maggie. regularly showers, and loves Cheerios! More importantly she soothes Julian who has Asperger’s. pure. No sugar or nonsense. hear you cry! Well patience my good friend. Patience . . . Crushed peanuts end up a mix of thick butter, and gloopy oil. And it looks a bit odd. to get really upset in a shop (for no obvious reasons). Average Joe public doesn’t understand. To them it looks odd. brought about by a sensory issue . . . personal injustice . . .
social interaction gone wrong . . . or . . . something similar. One way around this is to “warn”. Tshirts or cards to hand out explaining “my child is autistic”. need to do what you need to do. Poetry Digest. She thought it was a mistake. was selected for our next edition”. Daughter (and gran Tess) confused. learning and talking about them). hugged each other in joy! minds and in our hearts . . .
whom I’ve got to know as such a kind hearted and generous woman. A “super gran” in my humble opinion.